Outdoor recessed mount for AXIS Q60-E cameras. Can be mounted in panels, wood or pre-made holes solid concrete. The mount is very sturdy and made of aluminum and stainless steel. 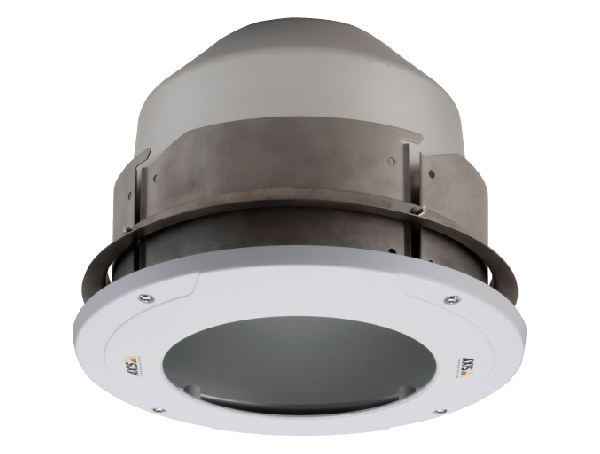 It supports the IK10 impact rating of the camera and has two 3/4 conduit holes for a plenum rated and rodent safe installation. Outdoor recessed mount for AXIS Q60-E cameras. Can be mounted in panels, wood or pre-made holes solid concrete. The mount is very sturdy and made of aluminum and stainless steel. 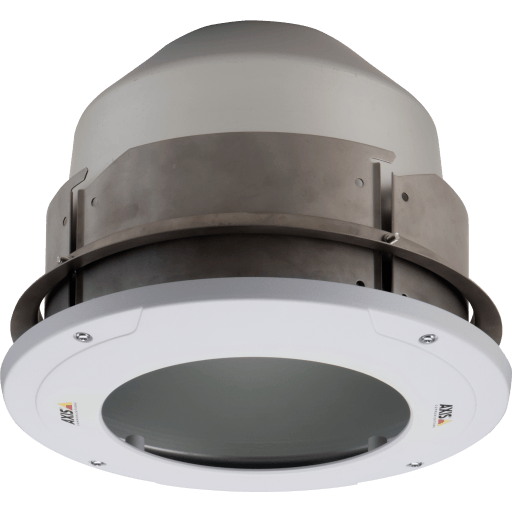 It supports the IK10 impact rating of the camera and has two 3/4" conduit holes for a plenum rated and rodent safe installation.